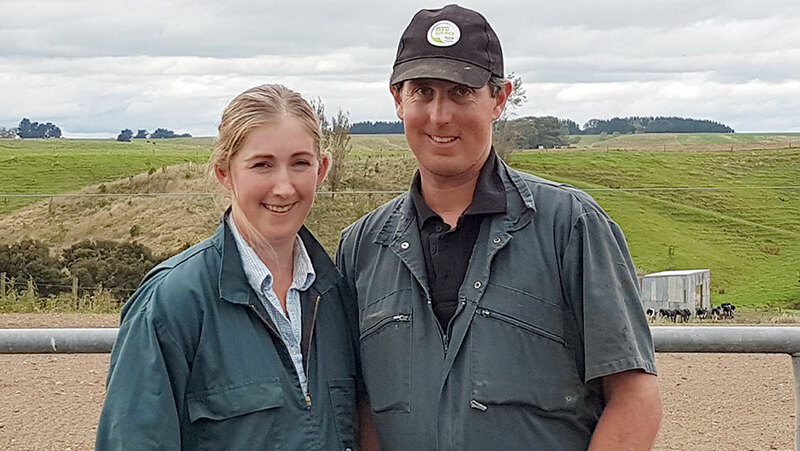 This year they were runners-up in the share farmer of the year section of the Manawatu Dairy Industry Awards and have previously won the farm manager of the year title. Since starting out in 2008 as farm managers, the couple have built up cow numbers, improved breed quality, bought land, and have their eye on future opportunities. They also have a 300ha bull beef farm and dairy support which is part of the overall business. Raewyn says that when they started as managers, they were fortunate to have access to DairyBase records because Michael’s Uncle Brian had signed up when DairyBase started 10 years ago. “It was really handy. DairyBase has allowed us to look at the history of the farm, both physically and financially, and to see how things were progressing. We now use DairyBase to identify areas that are not performing well compared to other farms in the region. This gives us something to focus on,” says Raewyn. Continuing education is helping the Hills with their decision making. DairyNZ progression groups are equipping them with the skills and resources to grow their business. Raewyn has even found the time to study a Diploma in Agribusiness Management which she says has given her the knowledge to fine-tune their farm systems and help her make smarter decisions. Michael and Raewyn meet with their business advisers quarterly and at these meetings use DairyBase reports to see how they’re tracking compared to other farmers. Raewyn says this has been especially important during the last few years given the downturn in milk prices, and has helped them to analyse every aspect of the business. “DairyBase benchmarking reports have enabled us to review where we’re at and what our next steps will be. It’s a useful tool to have when we’re talking to our partners, bankers, and accountants about the business”, says Michael. Next steps for the Hills will be debt reduction to allow for future growth and increasing production while remaining financially viable. They’re also considering a land-owning equity partnership.